We have a wide selection of tablecloths in various colors and sizes. 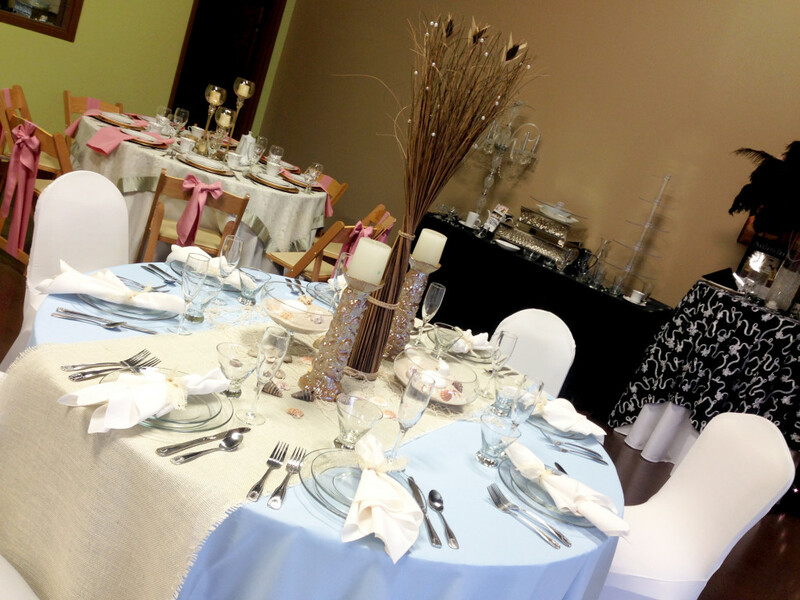 We offer chair covers for both banquet and folding chairs. And we have a wide assortment of colored sashes to adorn the chair covers. If you need colorful linen napkins, tablecloths, table toppers, chair covers, sashes and skirting, we have everything you are looking for. Click on the following link to see: POLYESTER LINEN COLORS. Click on the following link to see: CHART OF TABLE SIZES WITH CORRESPONDING LINEN SIZES.